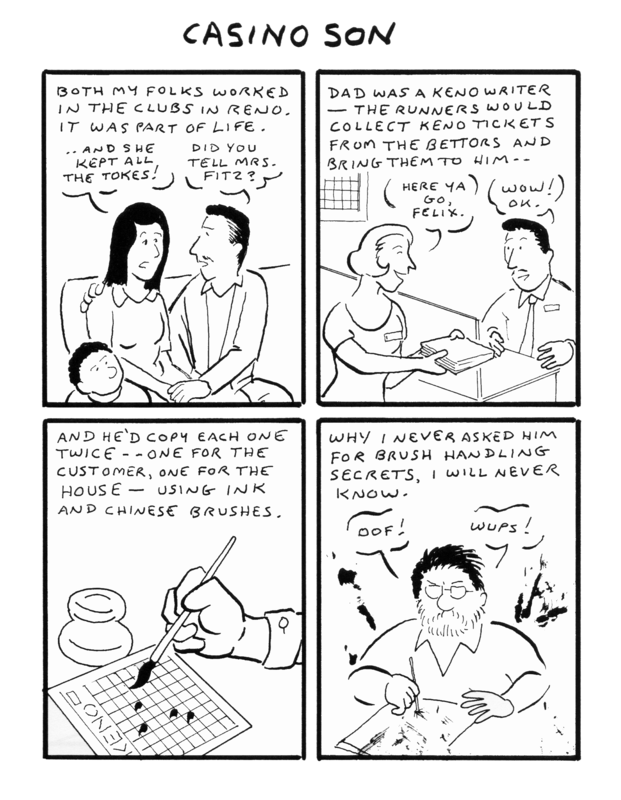 In this week’s Illustrated PEN, Guest Editor Robert Kirby presents excerpts from Casino Son by artist Mark Campos, available from MC Comics. 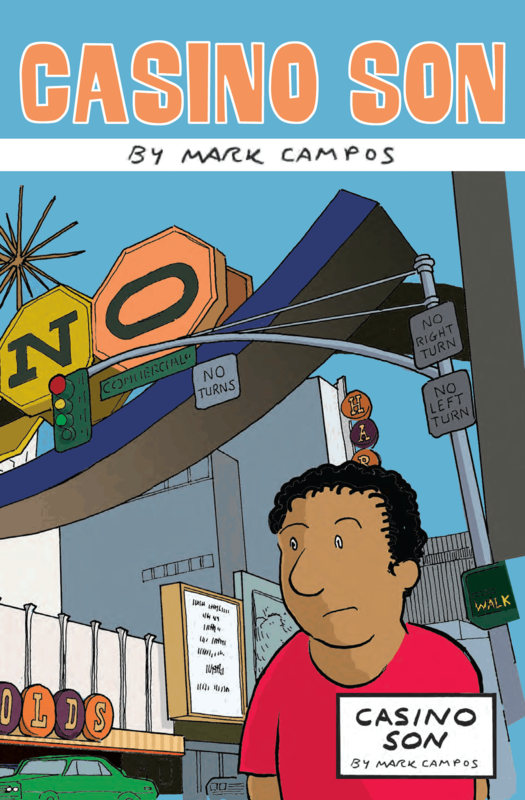 Kirby writes: In Casino Son, his last published work before his death in early 2018, Mark Campos offers a series of autobiographical comics about growing up Mexican-American in Reno, Nevada, during the 1960s and 70s. He describes his experiences of cultural dislocation and racism, along with familial love and conflict. 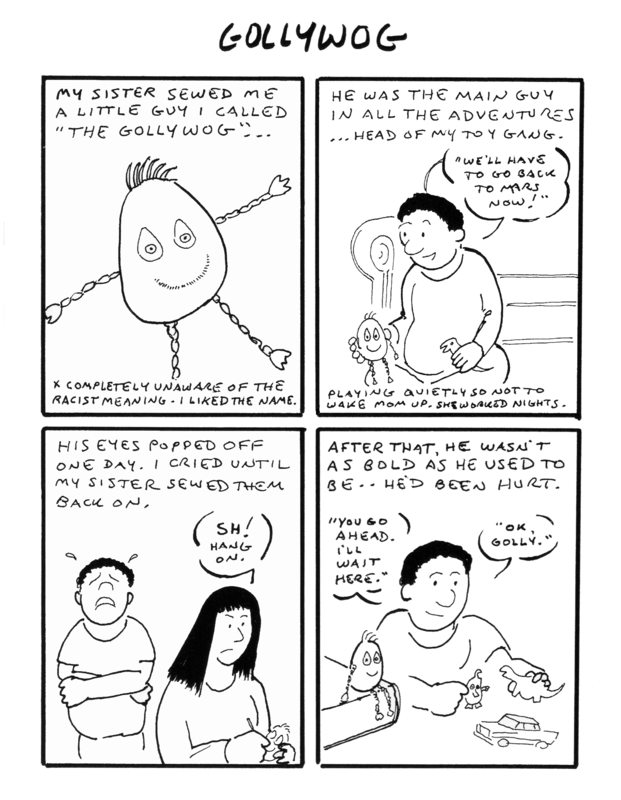 Mark originally published Casino Son as digital-only, but through the efforts of his family, his friend Marshall Gooch, and a Go Fund Me campaign, it was published in spring 2018 as 24-page comic book. 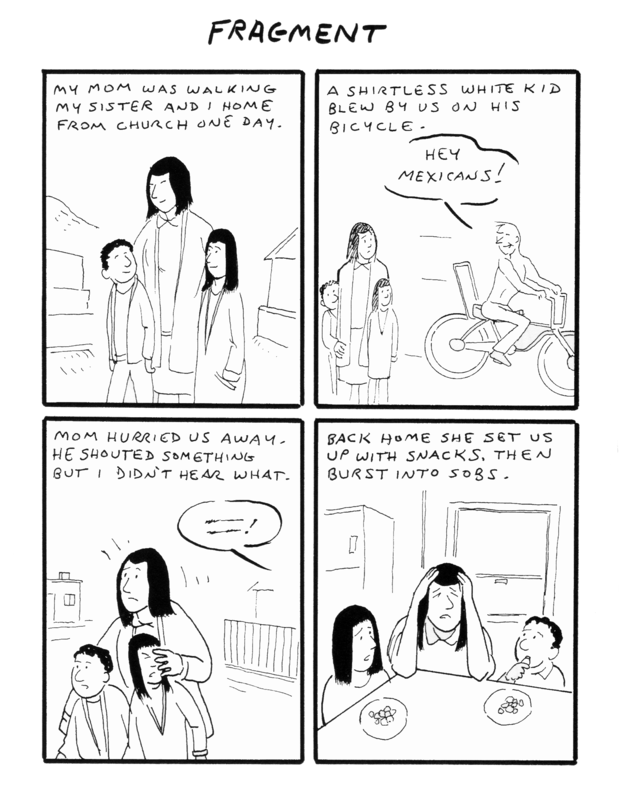 Written and drawn with Mark’s trademark directness and graceful minimalistic line, these vignettes are touching, funny, and powerful. 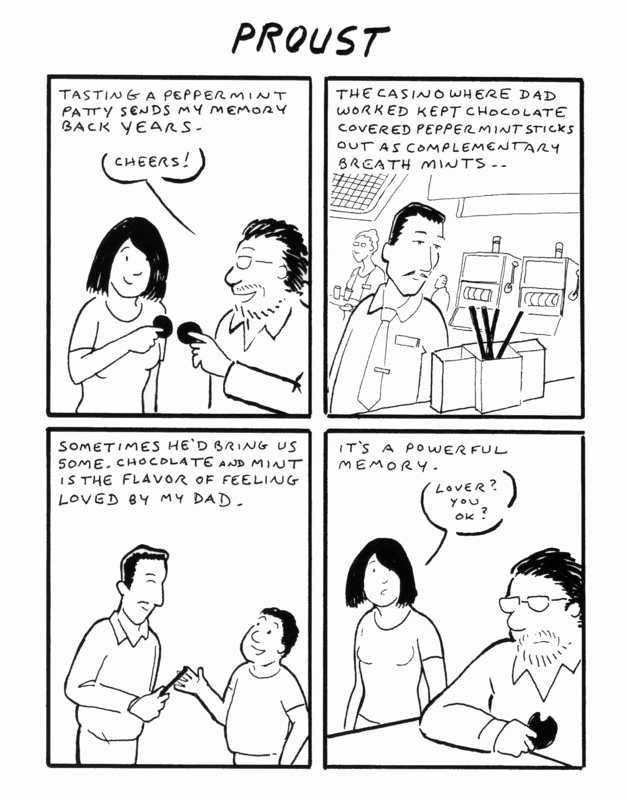 I’m honored to present these excerpts in Mark’s memory. Mark Campos, you are missed. 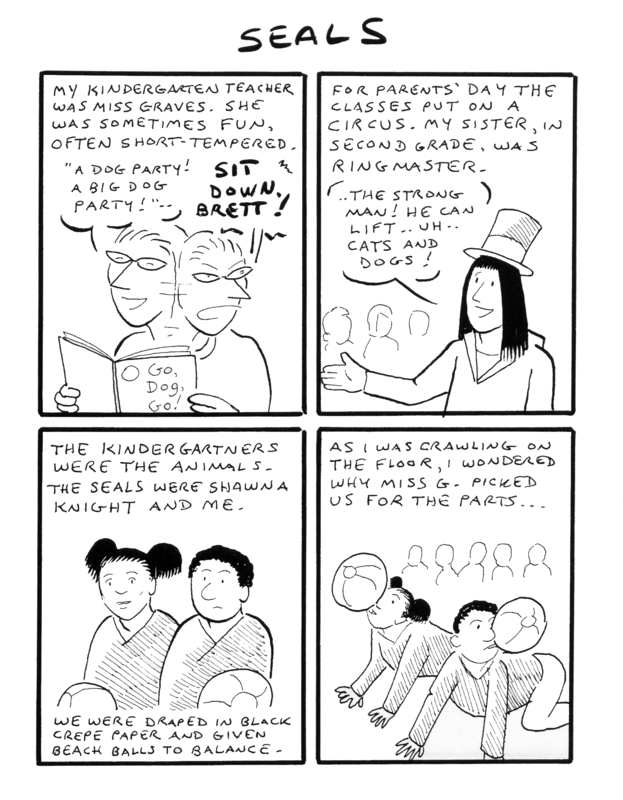 Mark Campos (1962-2018) was a beloved mainstay of the Seattle indie/alternative comics scene for many years, well-known for his humor, warmth, and generosity. Among his solo titles are Moxie, My Sweet; Places that are Gone, and Wow, They’re Playing My Songs on the Radio; I Must be Dead. He also contributed to many notable anthologies, including Not My Small Diary, Gay Comix, and Treasury of Minicomics: Volume One.